Greenwich homes is another quality built development by New Urban Communities. sacrificing quality and designing communities that reduce, there residents’ dependence on cars. They do this by carefully locating there neighborhoods within, or close to, major employment centers. They also make sure that parks, places of worship, grocery stores, schools, pharmacies, restaurants and public transportation routes are within walking distance. New Urban homes are simply built better. Upgraded insulation, poured concrete upper floors, thermacrete party walls, energy-efficient appliances, upgraded exterior paint and fire sprinklers to reduce future maintenance costs. Greenwich Abacoa Jupiter town homes is a development in Abacoa Jupiter Fl. featuring 164 well constructed Victorian style town homes. Greenwich homes is another quality built development by New Urban Communities. Greenwich at Abacoa Jupiter townhomes feature two and three-story townhome models which is zoned for mixed-use allowing the three-story townhouses to have the live/work option making it the perfect place for a small business with the convenience of living above his/her office or business. Greenwich at Abacoa is located off greenway Drive in Jupiter Florida and is located close to Town Center, Rodger Dean Stadium, boutiques, shopping, dining, and just minutes from beautiful Jupiter Beach. 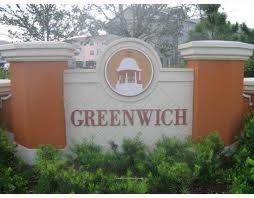 Greenwich at Abacoa is a Jupiter Fl community that was built by New Urban Communities in 2006. It enjoys a convenient spot just east of Military Trail, and to the north of Donald Ross Boulevard. Greenwich Abacoa townhomes have use of amenities such as a playground, clubhouse, and pool. It is linked to a 260 acre greenway that is shelter to endangered species. It also provides enjoyment for the local residents. Greenwich Abacoa townhomes sport Caribbeaan and Mediterranean architectural styles and offer serveral floor plans of two and three story townhouse units. Because of mixed-use zoning, the three story townhomes offer a live work option. Some of these units are used for family owned businesses for those who want the convenience of living in the same building.﻿ Greenwich Abacoa townhomes are popular with Jupiter townhome buyers who are looking for a relaxed and convenient lifestyle. Order customized MLS data. Get all the data you need to find the home that is best suited to your needs. Greenwich at Abacoa homes for sale you can find some great deals on townhomes for sale. Statistics show (regional MLS) that Greenwich Abacoa Jupiter real estate are selling under asking price.